A selection of poems from some of our favourite inspirational women writers, including Carol Ann Duffy, Maya Angelou and Sylvia Plath, covering topics from feminism to immigration, identity and more. The incredibly prolific and inspiring American poet, author of seven autobiographies, actress, civil-rights activist, producer and director passed away in 2014, leaving behind a huge volume of work celebrating black beauty, the strength of women, and the human spirit. In 2017 her life was celebrated in the documentary Maya Angelou: And Still I Rise, which featured interviews with Oprah Winfrey, Hilary Clinton, Quincy Jones and Maya Angelou herself. Hear Serena Williams read Maya Angelou’s 'Still I Rise' in the video below, recorded before Serena won the 2016 Wimbledon Women’s Tennis final and in the process, her 22nd Grand Slam, equalling Steffi Graf’s all time record. A true national treasure and one of Britain's most accessible and beloved poets, Wendy Cope’s poetry is perhaps best known for its humour. There is, however, a feminist element to her poetry and a political engagement that often goes unrecognised. Award-winning Scottish poet, Carol Ann Duffy, is the first woman and the first openly gay poet to be appointed Poet Laureate of the United Kingdom. While her poetry often has a strong feminist edge, The World’s Wife in particular is a feminist classic, in which Duffy gives voice to the wives of famous historical and fictional heroes. Scottish National Poet Jackie Kay’s poetry collection Fiere is the story of the search for her Nigerian and Highland birth parents and a deep enquiry into all forms of human friendship. Infused with both Scots and Igbo speech, it is also a fascinating account of the formation of a self-identity. One of America’s foremost public intellectuals. Widely read and hugely influential, Rich’s career spanned seven decades. A lesbian and a radical feminist, Rich devoted her life’s work to investigating the relationship between poetry and politics. An award-winning rapper, poet, author and playwright, Kate Tempest made a name for herself through her intense and urgent live performances. Her poetry holds up a mirror to contemporary life in a voice like no other. Wise, rude, sharp, and totally unique, Hollie McNish’s poetry encompasses her personal experiences from girlhood to motherhood and friendship to football, all of which are covered in her 2017 collection, Plum. Her performances have been watched by millions on YouTube and she’s been described as the most important spoken-word artist of her generation. Addressing themes of feminism, body-image, violence and her experience of being a first-generation immigrant, Rupi Kaur began publishing her poetry and illustration on Instagram when she was in her early twenties. Her debut collection Milk and Honey went on to be a New York Times best-seller when it was published in 2014. Rupi Kaur's new poetry collection, The Sun and her Flowers is published in October 2017. A celebrated poet, short story writer, critic, and an Oscar-nominated screenwriter, Dorothy Parker’s biting wit made her a legend, but it also masked her struggle with depression. Her poetry exposes both the dazzle and the darkness of the decadent 1920s and 1930s in New York. Despite only publishing one collection of poems in her lifetime, Sylvia Plath is one of the defining voices in twentieth-century poetry. 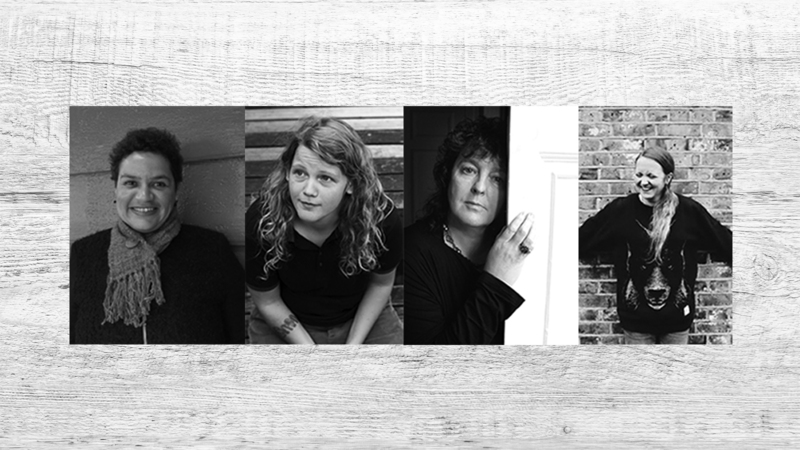 If you're looking for further inspiration and to immerse yourself in more new poetry, watch our Book Break episode celebrating new poetry, including Kate Tempest's Running Upon the Wires and She is Fierce, a collection bold, beautiful and brave poems by women. Jackie Kay’s collection is a lyric counterpart to her memoir, Red Dust Road, the extraordinary story of the search for her Nigerian and Highland birth-parents; but it is also a moving book in its own right, and a deep enquiry into all forms of human friendship. Plum, Hollie McNish's debut for Picador Poetry, is a wise, sometimes rude and piercingly candid account of her memories from childhood to attempted adulthood. This is a book about growing up, about flesh, fruit, friendships, work and play – and the urgent need to find a voice for the poems that will somehow do the whole glorious riot of it justice. This unique collection of poems from the Poet Laureate, filled with her characteristic wit, is a feminist classic and a modern take on age-old mythology. Behind every famous man is a great woman - and from the quick-tongued Mrs Darwin to the lascivious Frau Freud, from the adoring Queen Kong to the long-suffering wife of the Devil himself, each one steps from her counterpart’s shadow to tell her side of the story in this irresistible collection.